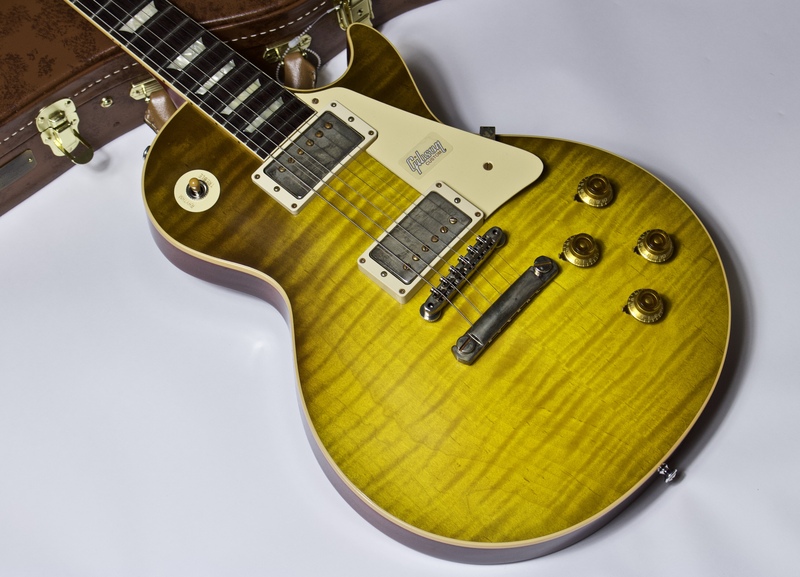 These 60th anniversary guitars are nothing short of amazing. 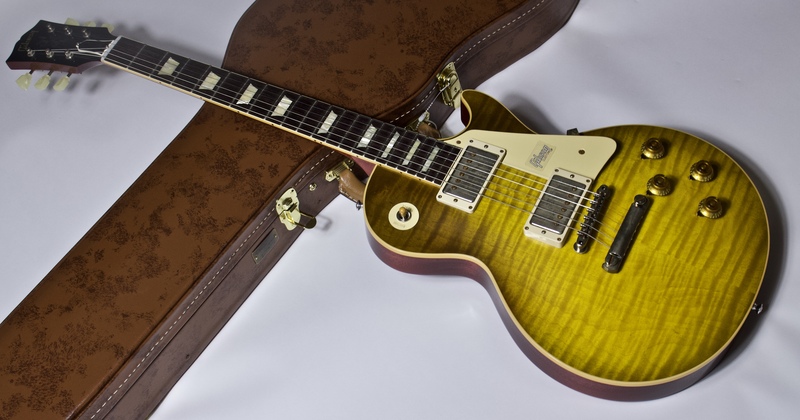 Gibson has taken it to another level with these. The new colors are beautiful and the new appointment make them sound great right out of the box. This one is no exception. This guitar has a really nice top with good, wide flame. 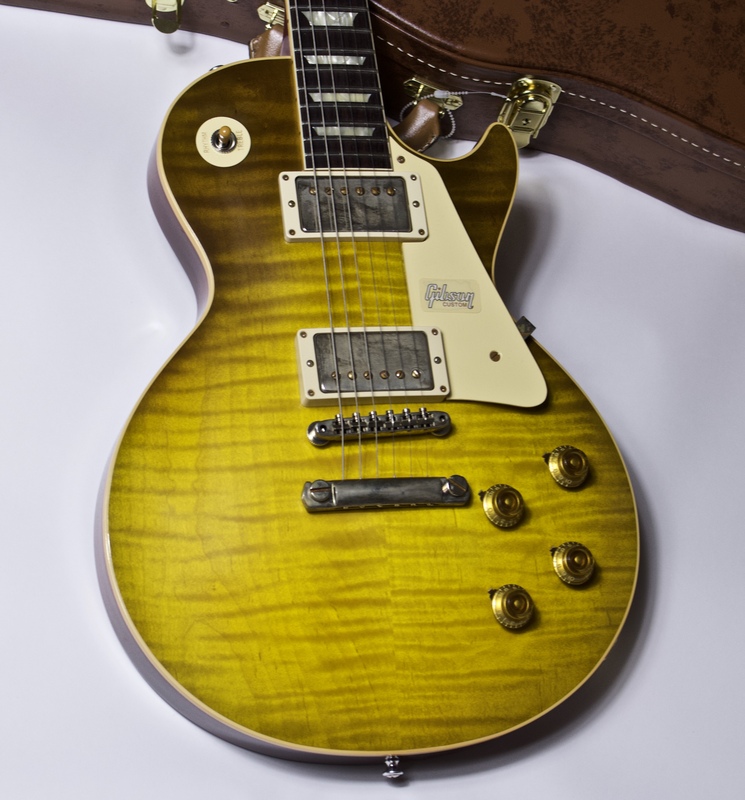 The color is a beautiful lemon with some dirty green left in the burst. The tone is nothing short of wonderful. It has a rich, woody resonance. The pickups are clear and sound incredible. The playability is great all the way down the fretboard. The neck is a very comfortable medium C profile. This guitar is in as new condition.